Best known now for his role in the provision of universal elementary education in 1870, the liberal politician William Edward Forster (1818-1886) was also instrumental in forming the Imperial Federation League of 1884. He chaired a meeting "in furtherance" of it at the Westminster Palace Hotel on 18 November 1884 (adjourned from an earlier one of 20 July that year) at which the various proposals for it were spelled out. First and foremost, the object of the league would be "to secure by federation the permanent security of the Empire." There would be no interference with the rights of the individual parliaments, but the different countries involved "should combine on a equitable basis the resources of the Empire for the maintenance of common interests, and adequately provide for an organized defence of common rights." There were other proposals as well — that it should be cross-party, that branches should be set up in the various countries, and so forth ("Conference of Imperial Federation"). Seely's students and readers alike could not but feel that efforts must be made in order to avert such a failure. 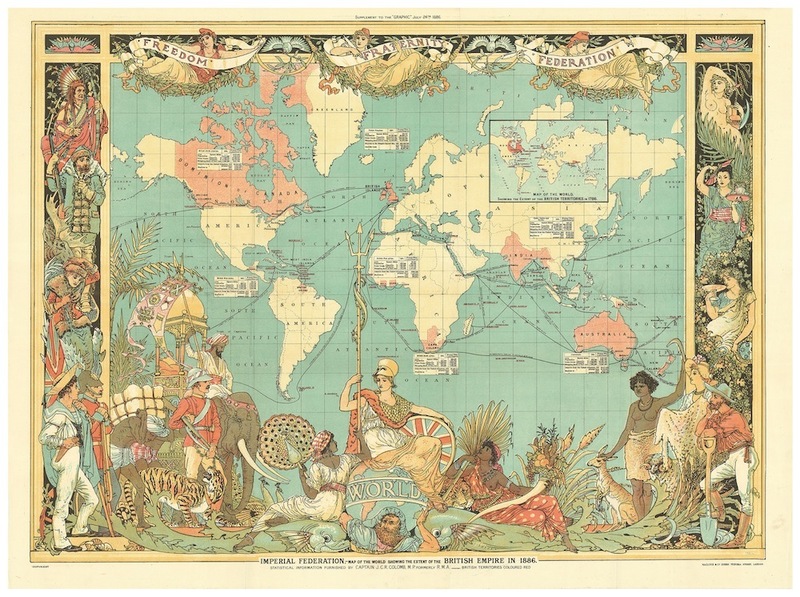 At first, and for a limited period, the new bid by Forster and others to promote consolidation did seem to bear fruit: "The League spawned branches in Canada, Australia, New Zealand and the West Indies, and it was supported in Britain by Conservatives, Unionists and Liberal imperialists." However, "when it tried to move from vague objectives to particular policies, it fell apart and was dissolved in Britain in 1894" (Cannadine 421). We can see this with hindsight, but, as late as 1921, federalism was still being touted as a way of bringing about "a closer coöperation in purely imperial matters, between the United Kingdom, the Dominions, and India without sacrificing the principles of democracy or encroaching unduly on the field of local autonomy" (Smith 274). What happened instead was that the empire did disintegrate, and the "Commonwealth of Nations" emerged, almost by happenstance, with the Commonwealth Imperial Conferences being replaced by Commonwealth Prime Ministers' Conferences (see Palmer 127). Such a result was far from what Forster and others had hoped for. On the other hand, if twenty-first century Britain's close bonds with other members of the Commonwealth owe something to the late Victorians' Imperial Federation League, that is still no mean outcome. Bell, Duncan. Reordering the World: Essays on Liberalism and Empire. Princeton, New Jersey: Princeton University Press, 2016. Cannadine, David. Victorious Century: The United Kingdom 1800-1906. London: Allen Lane, 2017. "Conference On Imperial Federation." The Times. November 19, 1884: 6. Times Digital Archive. Web. 11 May 2018. Palmer, Alan. Dictionary of Twentieth-Century British History. 5th ed. London: Penguin, 1999. Seely, John Robert. The Expansion of England: Two Courses of Lectures. Boston: Little Brown & Co., 1905. Internet Archive. Contributed by University of California Libraries. Web. 11 May 2018. Smith, William Roy. "British Imperial Federation." Political Science Quarterly. 36/2 (June 1921): 274-297.